Affector is a well seasoned “superband” consisting of Members from various bands. 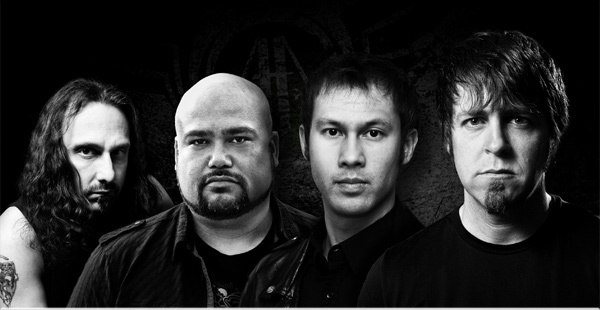 They are founded by German guitarist Daniel Fries and Dutch drummer Collin Leijenaar (Neal Morse & Dilemma). They are joined by Bass player Mike LePond (Symphony X) and vocalist Ted Leonard (Spock’s Beard/Enchant/Thought Chamber). Also the Polish Orchestra Sinfonietta Consonus, backed the band with the orchestrated moments and movements. Also there are two of Dream Theater's very own keyboardists (Derek Sherinian and Jordan Rudess). Last but not least, Neal Morse (Transatlantic) plays keyboards on the album too. Affector is a Progressive Metal band with the tendency to go into long Jam sessions like a jam band would. They often even come across as sounding a bit jazzy with their laid back approaches. To these ears, the band has a 70s meets 80s metal sound partly due to the use of organ sounds and guitar techniques throughout the album. Don’t let this keep you from checking them out because they incorporate enough newer elements to make this a quality album that can appeal to a broad group of listeners. The voice of Ted Leonard, is smooth and fits perfectly with the progressive style music genre. A lot of times when people think of Metal music they think that the singer will be like Rob Rock or Rey Parra(Sacred Warrior) but that’s not the style vocalist that works best with every Metal genre especially with Progressive Metal. Normally we find vocalist, in the Progressive Metal genre, singing with more of a mid-range vocal delivery. The guitar work by Daniel Fries is superb going from almost Power Metal to Bluesy guitar moments to straight out 80s style riffage but bringing it down a notch when Ted enters on vocals. The guitar work is very melodic with plenty of moments to shine as there are many instrumentals on this album. Affector comes highly recommended to those who like Guitar but with a laid back Jam band feel to it that also shreds.